"Hang on for the ride of your life!" 8 Seconds is the true story of professional bull rider Lane Frost. The film shows the young Lane learning the tricks of bull riding from his father, who was also a professional bull rider. Lane’s father pushes his son to become a champion bull rider. Lane and his two friends begin to tour the professional circuit, earning fame and money as they go from town to town. The three men grow close on the road, spending nights in motels and having only each other for comfort and support. While on the circuit, Lane meets Kellie, who is a professional barrel racer. The two instantly fall in love, and they get married. Kellie gives up her career to follow Lane around. Lane is quickly becoming one of the most famous professional bull riders in the country, but fame comes with costs. There is immense pressure on Lane to succeed. Some people are jealous and start rumors that he is cheating at events. He is also suspicious that his wife is only with him for the fame and money and does not really love him. Lane even narrowly escapes a broken neck when he has a bull ride go bad. Lane is devoted to trying to ride Red Rock. Red Rock is a bull that no professional bull rider has been able to stay on. Lane ends up riding the bull several times and thus wins the national championship. Towards the end of the film, Lane is competing in a bull riding competition. He does well and dismounts a bull after riding him for eight seconds. He turns to leave the arena floor and the bull gores him in the side. Lane is severely wounded and bleeds to death on the arena floor, as a result of internal injuries, while his friends and family watch. 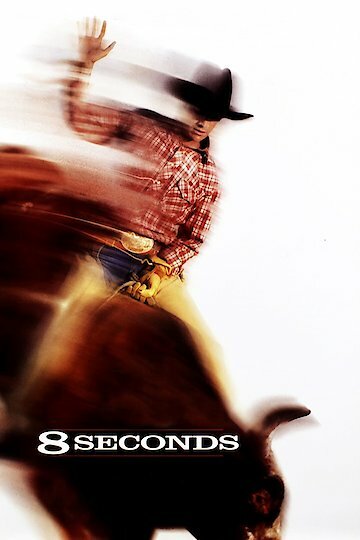 8 Seconds is currently available to watch free on Vudu Free and stream, download, buy on demand at Amazon, Vudu, Google Play, FandangoNow, iTunes, YouTube VOD online.